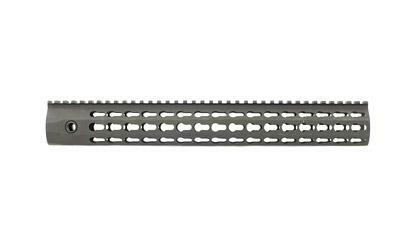 The Knights Armament Company URX 4 for AR-15s in 5.56mm is a free floating continuous top-rail handguard system that utilizes the KeyMod mounting brackets developed by VLTOR and Noveske. The modular KeyMod layout allows the shooter to fully customize accessories without the use of specialized tools, small parts, or additional forces applied to the barrel. 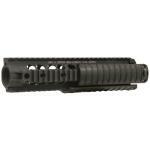 Bravo Company Gunfighter MCMR M-LOK Modular Rail Handguard 7"